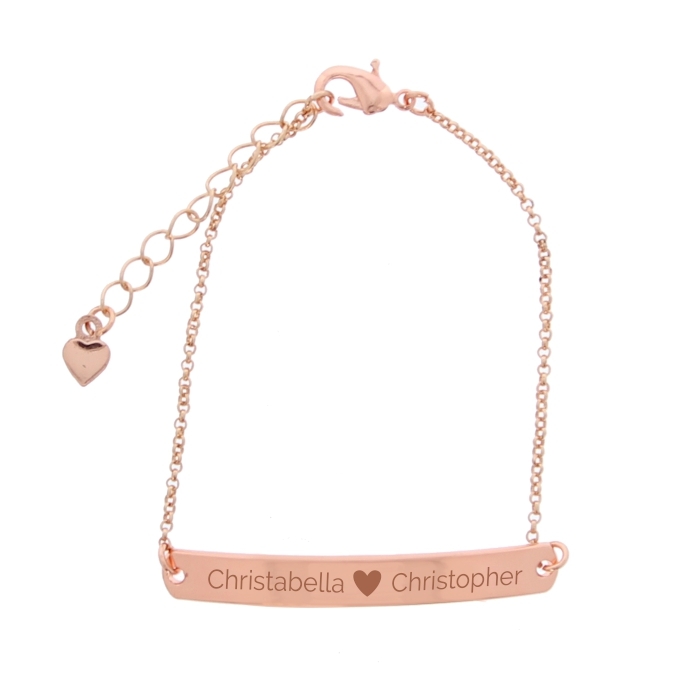 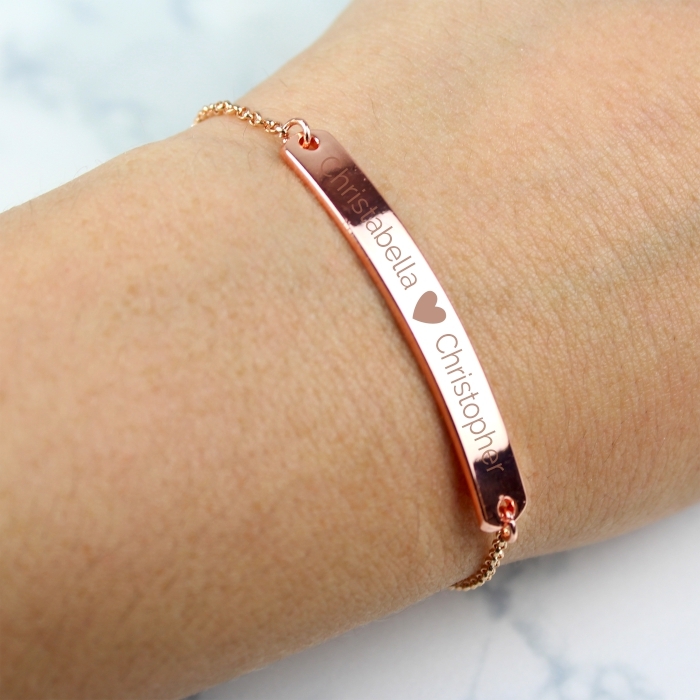 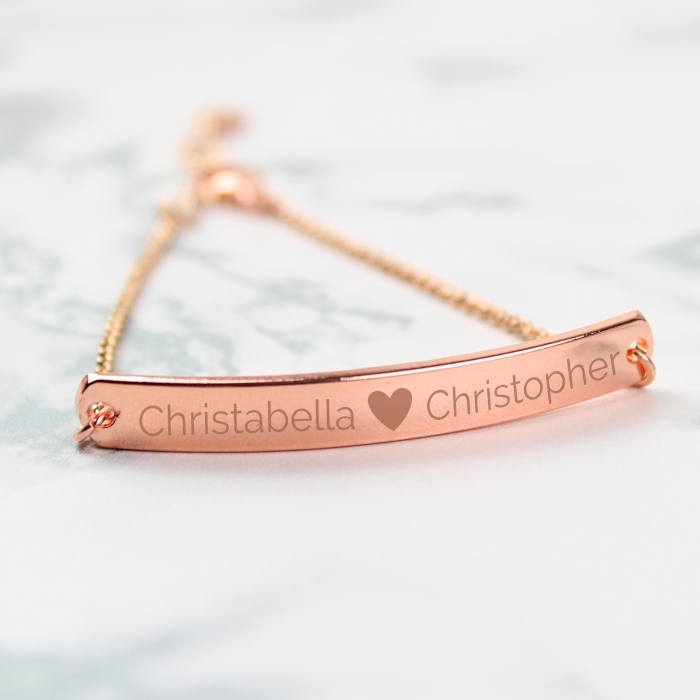 This stunning Personalised Rose Gold Tone Heart Bar Bracelet is perfect for any occasion. 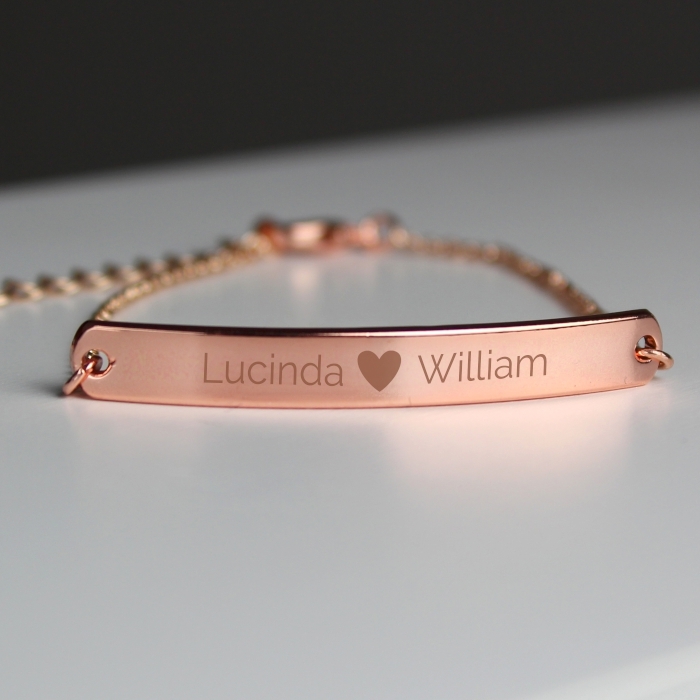 This bracelet can be personalised with up to 2 names, 12 characters per line. The heart in the middle of the text is fixed. 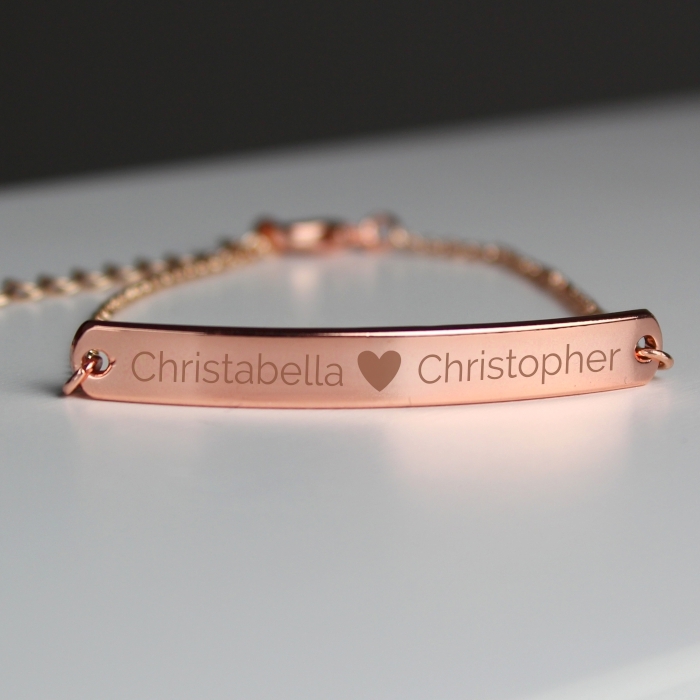 The bracelet also comes presented in a gift box! 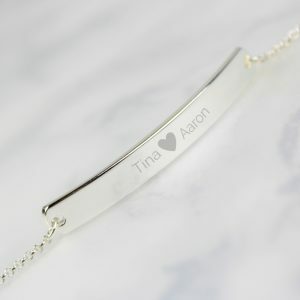 These bracelets will fit 18.2cm to 22.2cm wrist sizes and is a clasp fasten. 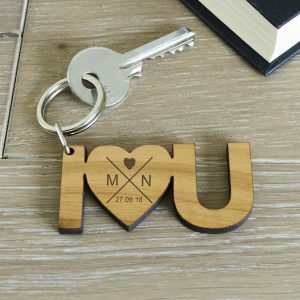 This is made from a mix of Brass and Steel. 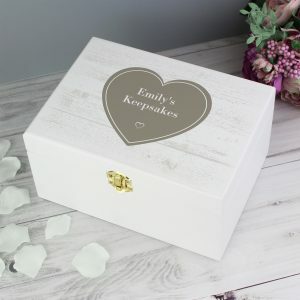 Ideal for Birthday, Valentine's Day and Anniversary.